Jason Balkin, Associate Director, Business Development and Bids at MCB has been awarded the Honorary Paul Harris Award from the Rotary Club of Melbourne. The Rotary Club of Melbourne noted that "over many months Jason championed the promotion of Melbourne as the location of the 2023 RI Convention, and gathered a hard-working team to develop the Melbourne bid to host the event." Jason also worked hard to secure transportation between venues and guaranteed discounted hotel rooms for delegates. In the lead up to the convention, Jason continues to support by giving of his personal and professional time, talents and energy. 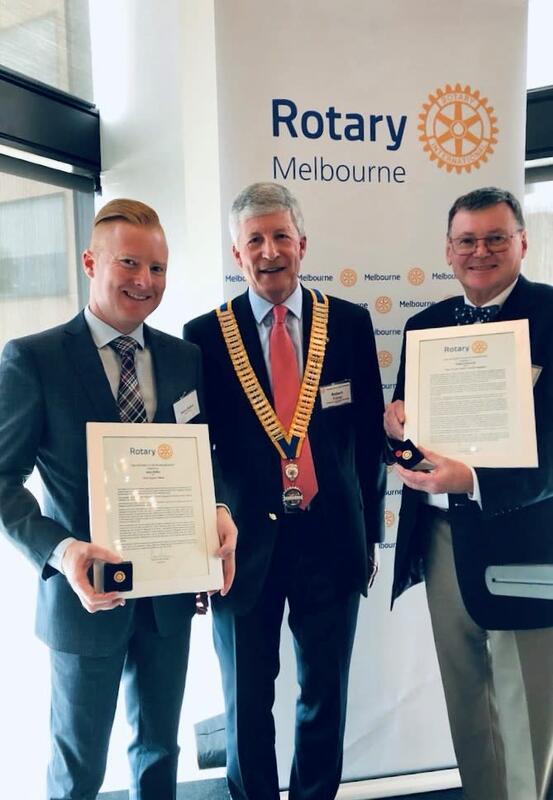 Image (L-R) Jason Balkin, Associate Director, Business Development and Bids, MCB | Robert Fisher, President of the Rotary Club of Melbourne | Hugh Bucknall, Bid Team Leader.